These are micro events at campsites usually organized over the weekend. A great place to meet like minded folk, hang under the stars and partake in a beer or two. Designed for first time campers, a social camp is the perfect way to start the love story of the outdoors. All basic creature comforts are provided – tents, gear, food and restrooms. 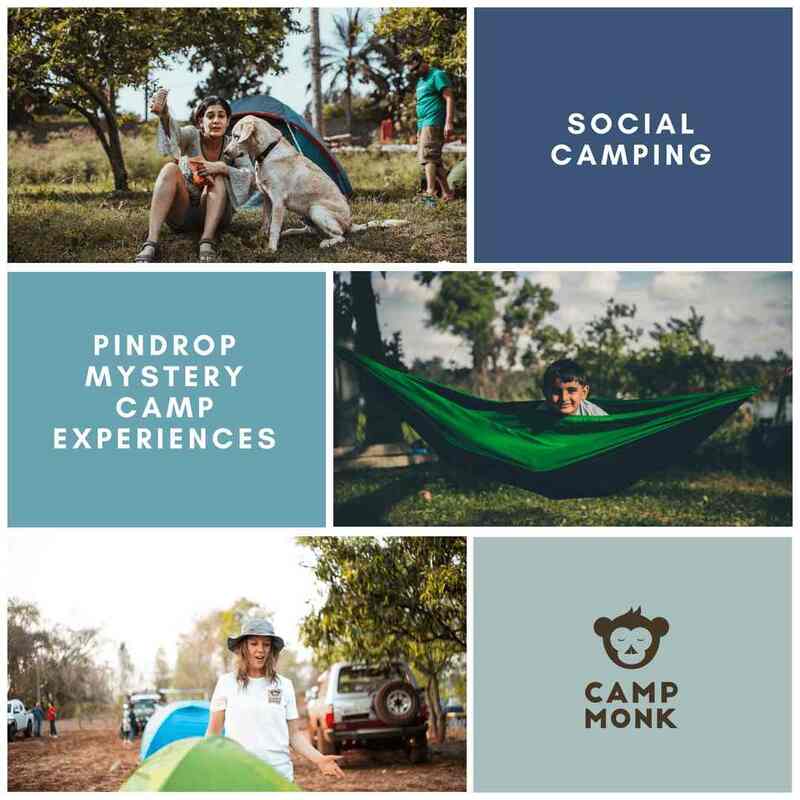 Pindrop Mystery Camp is an example of a social camp. Movie under the stars, a music nights or perhaps a community cookout – find a reason, head outdoors! A weekend getaway from Bangalore. If you’re one who loves the wild, Eco camps are the best way to immerse yourself into nature. Usually located within forest areas, they are perfect for wildlife photographers, budding naturalists and anyone who’d like to learn about the natural world. Gerry Martin’s Nature Camp, The Great Shola Camp, Wayanad and Camp Exalt, Dandeli are examples of Eco Camps. Glamping is where nature meets Noritake. It’s a way to experience the untamed and completely unique parts of the world—without having to sacrifice creature comforts. The way we travel has changed. We no longer want a generic, one-size-fits-all vacation. We want to explore on our terms and immerse ourselves in local culture, and we no longer just want to simply witness nature—we want to live in it. 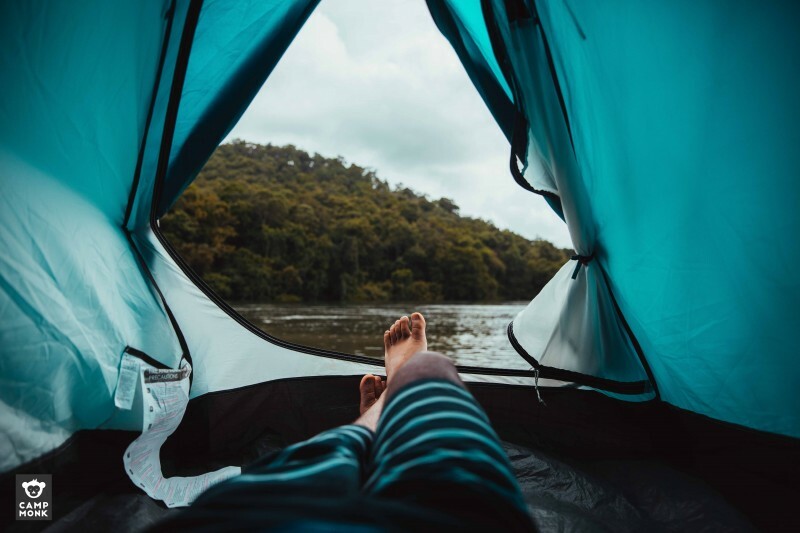 A fusion of glamour and camping, glamping is a way to authentically experience the most awe-inspiring locales around the country. 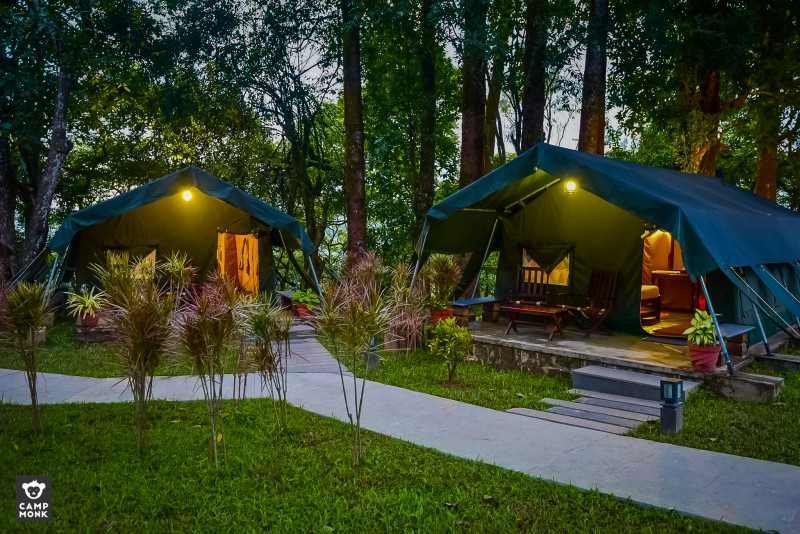 Check out Malabar Hornbill Camp, Valparai and Rainforest Tree Camp, Thrissur. India is slowly opening up to the concept of Campervan Parks, where SUV’s/Vans can park up and enjoy facilities designed to make their camping experience comfortable. They can be located in tourist areas or on highways acting as a rest stop for transiting travelers. Check out Campinground Mysore, India's first campervan park. These are basic campsites usually in remote places, the views are the calling card here. They come with a fire ring, garbage cans, and access to drinking water and primitive toilets. Don’t be surprised if you don’t have phone network or sometimes even electricity. But that can actually be a good thing, considering no electricity = no light pollution = some magical night skies. We love the Misty Mountain Hop, Kodaikanal and the Misty Tea Hill Campground, Idukki. What is Wild Camping you ask? Its simply pitching your own tent in the wilderness. 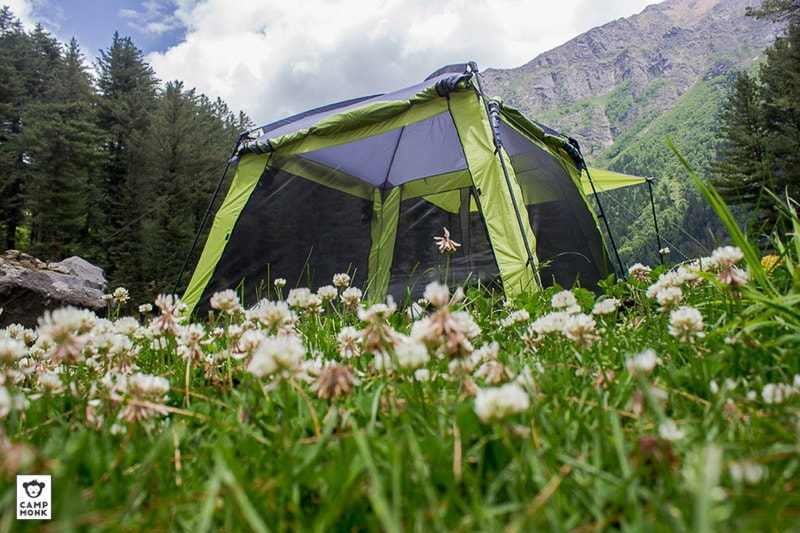 There’s no sites to reserve or book, since you’re pitching a tent on public or forest land – though it would require permissions from the local authorities. This type of camping is for the adventurous at heart and could be unsafe in India. Wild animals, more specifically wild humans could be a nuisance, making your nature time a painful experience. Also be prepared to answer natures call in the wild, since you wont find any restrooms around. So whatever is your vibe, we have something for you. Go on, it’s time to discover the outside. A Rubbish Way To Get Fit!